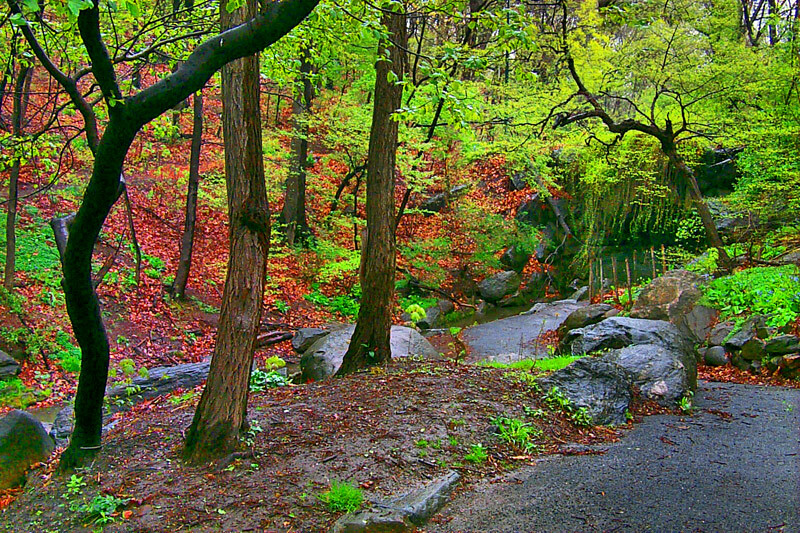 The North Woods at the Ravine are the dense woodlands covering the northwest quadrant of Central Park from 101st to 110th Street. This reserve with a wide variety of trees and shrubs with its many visiting species of birds is a haven and cherished retreat for naturalists and occasional visitors to the area. 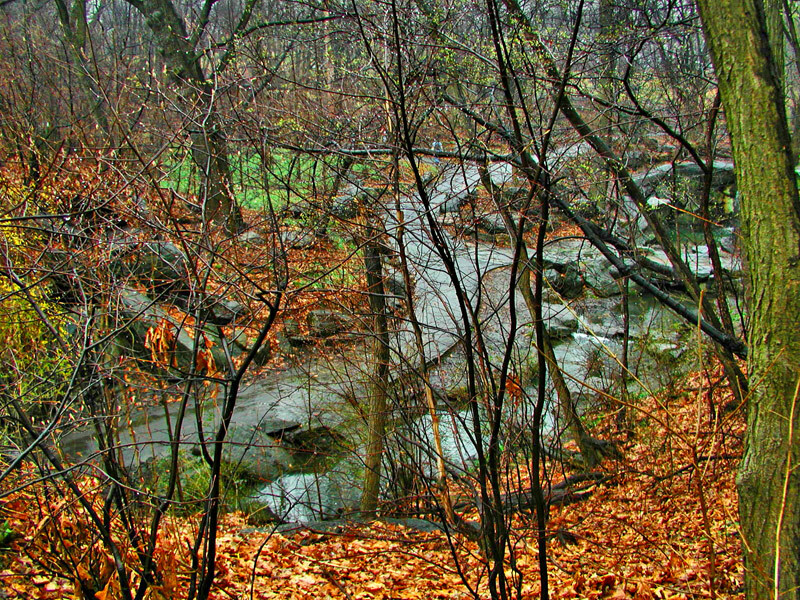 Though damaged to a good extent by the introduction in the 1960s of the Lasker Pool, which cut away its extension to the edge of the Meer it endures in the hearts of Park lovers as a formidable reminder of the intent of the Park's designers Olmsted and Vaux. That intent was to preserve in the heart of a growing metropolis a treasured reserve of nature that would endure through time and resist in its magnificence any attempts to destroy it.